Microsoft’s Surface Pro tablet is back in stock through the company’s online store, but shipping times are about two weeks for the 128 GB model. The tablet launched last week, but quickly sold out within the first day. The cheaper 64 GB model has always remained in stock. There were reports last week that retailers didn’t get enough Surface Pros to meet demand. According to some customer complaints, many stores only got a handful of Surfaces to sell on launch day. Microsoft’s Surface boss, Panos Panay, said this week retailers like Best Buy would have more tablets in stock by today. 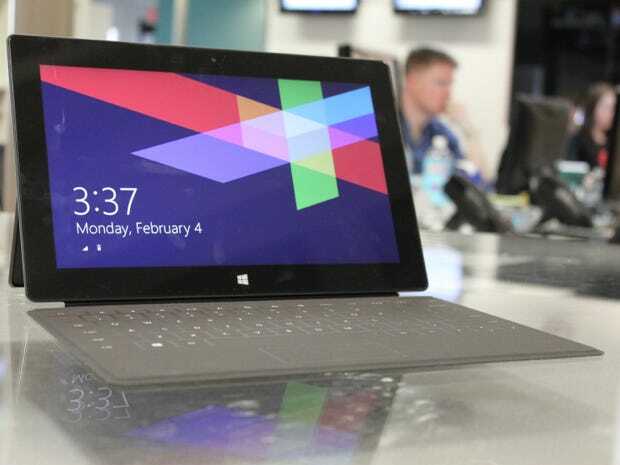 The Surface Pro is Microsoft’s newest tablet. It runs the new Windows 8 operating system, and has all the features of a regular laptop in a tablet form factor. It costs $899 for the cheapest model.